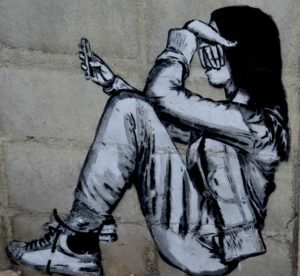 Cyberbullying occurs on not just social media like Twitter, Facebook, and topical forums, but multiplayer games and school discussion boards. Examples include mean texts or emails, insulting snapchats, rumors posted on social networking sites, and embarrassing photos or videos. On October 7, 2003, Ryan Halligan committed suicide by hanging himself [after being cyberbullied by high school classmates]. His body was found later by his older sister. Click for his story. It gets worse every year as the Internet plays an increasingly dominant part in student lives at home and school. Exponentially worse. Because this crime is hidden in the vastness of the world wide web, the bully considers themselves anonymous, hiding behind their handles and fake profiles, making it difficult to find the guilty parties. As a result, too often, everyone thinks someone else is responsible for stopping it. Parents think they’re invading their child’s privacy by monitoring social media accounts and teachers think they don’t have enough time to monitor school-related virtual meeting places. What makes it even harder to identify and less likely to solve is that students often are reluctant to ask for help. October is National Bullying Prevention Awareness Month. 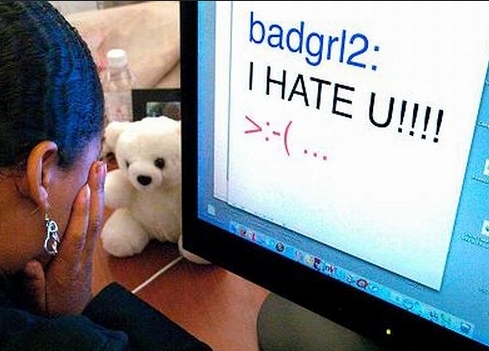 There are steps parents and teachers can take to prevent cyberbullying from starting. Discuss this topic with your child (or students) every year, starting as soon as they use multi-player games (often as young as second grade). You think they’re OK because you disabled the online access — think again. These clever digital natives take figuring out how to circumvent your protections as a challenge. Once the emotional damage is done, it’s difficult to undo. This is a true (video) story of fifteen-year-old Irish-born Phoebe Prince who committed suicide because of cyberbullying. The repercussions led to what might be the biggest bullying case in American history. It’s almost 45 minutes long but never boring. 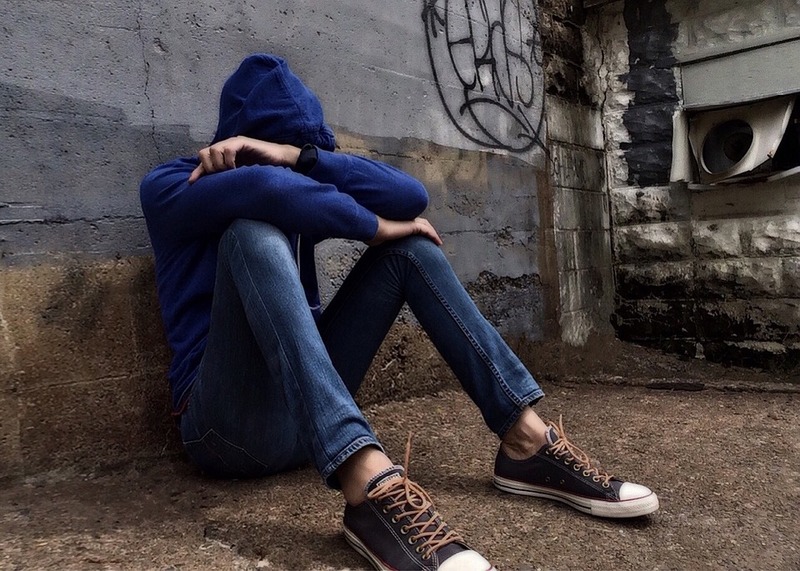 This is a video published by Riyadh, the victim of high school bullying. He’s now an adult and reaches out to his childhood bully, not in anger but to try to understand. I am amazed by Riyadh’s strength. The video’s only seven minutes long, easily shown to a group. In fact, 4.7 million people (and counting) have watched this video since it was published in September 2015. This is an educational digital storybook that dives into the dangers of cyberbullying and how friends can step up and stop it. It includes discussion questions at the end of the story and is a great resource for both teachers and parents. The PDF can be viewed on the website or downloaded. This is a 90-minute movie put out by ABC Family, now available on YouTube. It’s about a cute, popular girl with everything a girl wants — until she becomes the victim of cyberbullying. It first aired in 2011 and has been viewed by over 11 million people. BrainPop offers two free cyberbully videos, one for youngers and one for olders. As with most BrainPop animations, both teach by exploring the topic through the eyes of a trusted character (in this case, Annie, Tim, and Moby). They’re free; you can even watch if you don’t have a subscription. They include closed caption, transcripts, the ability to print the entire notebook, an easy and hard quiz, a challenge (older only), a make-a-map activity (requires a login), games to support the theme, and activities. This is a resource site put out by the popular Commonsense Media. You can find age-specific guidelines, videos, and articles that offer advice, resources, and more from parents and experts. You can explore by age-group or pick the most popular resources. It’s geared for fifth grade and up and includes common questions students may ask and their answers. This site offers guidance on what cyberbullying is and how to stop it. It includes media, images, videos, policies and laws, as well as who to contact if you or a child is being cyberbullied. This is the heart-breaking video story of a teenager who takes his own life after being ruthlessly cyberbullied. The video is done as text and images with accompanying music and is just short of four minutes. It will break your heart. About three minutes long, this hard-hitting video highlights all the important points about cyberbullying and what teens should think about before they engage in the anonymous crime. I found this article wrenching to write. The crime is so ugly, destructive, and affects our most innocent. But it must be addressed. These resources give you a starting point. Don’t wait to discuss cyberbullying until it’s too late.